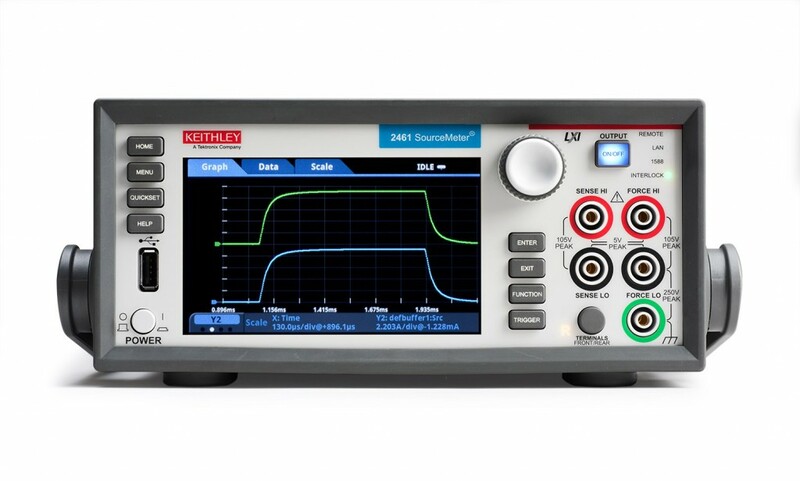 Lernvideo 2400 Serie: How-To Source 10V with 10mA Compliance? Lernvideo 2400 Serie: How-To Configure a Linear Voltage Sweep? Lernvideo 2400 Serie: How To Setup a Fast Voltage Pulse on Series 2400 SourceMeter? Lernvideo 2400 Serie: How-To Configure a Custom/List Sweep? Lernvideo 2400 Serie: How To Configure Output Off Mode? Lernvideo 2400 Serie: How-To Enable/Disable the Interlock of a Model 2400 SourceMeter? Lernvideo 2400 Serie: How To Configure the Limits? Lernvideo 2400 Serie: How To Setup GPIB RS-232 Communication? Lernvideo 2400 Serie: How To Use Saved Set-ups?